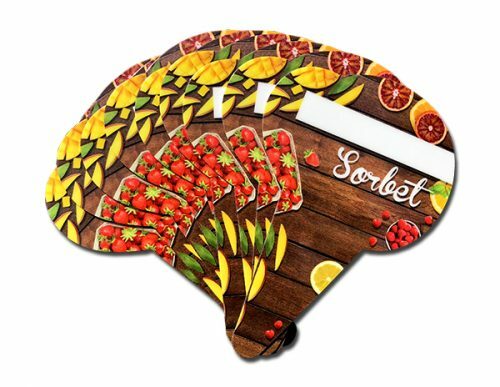 Our Sorbet flavor tags are made of a flexible food safe plastic. 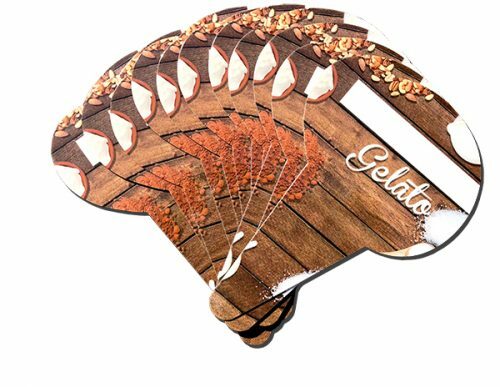 Easy to customize, these require simple stickers made on a label maker to name your flavors! Each tag measures 6.5in long by 4.25in at widest point.